Something that I always forget to look into are good hand creams. 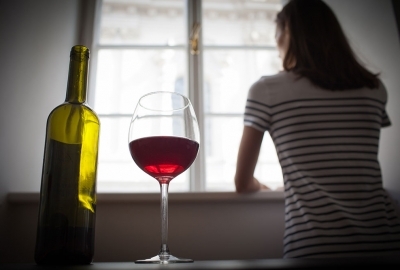 Whether it is for keeping on my desk at work for after I rinse out my coffee mug, or for when I am out and my male friends ask me why I am not like most women and carry hand lotion in my purse for them to use for their dry hands. The truth is my hands get very dry and I strongly dislike it, but I forget to keep hand cream around since I have not found one that I really like. I went to Ulta the other day and asked the friendly salesperson if she could show me to the best selling hand creams. She said that hand creams are popular this time of year, and directed me to their top sellers. Now I have hand cream in my car, on my desk, in my purse and in every bathroom because I am obsessed with the products I bought that day. 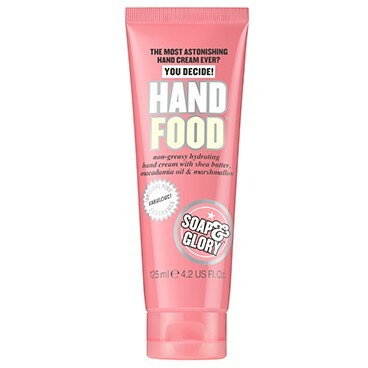 Soap and Glory Hand Food has many potent ingredients to keep your hands moisturized, but it also absorbs quickly meaning that it does not feel greasy at all. I keep this one at my desk since I don’t like for my keyboard to get greasy after I have applied lotion to my hands. The scent is very heavy, so if that is your thing, you will love it. 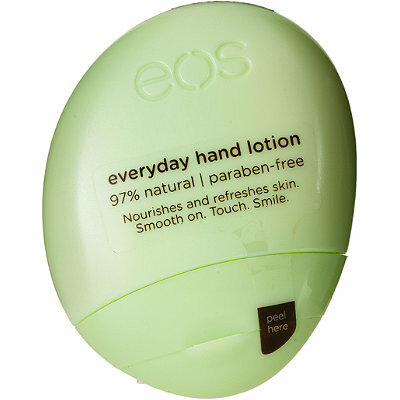 Eos Every Day Hand Lotion has a light scent that fades after application. Eos’ travel-size Everyday Hand Lotion in cucumber comes in a cute compact shape that makes it easy to carry around in a small purse. 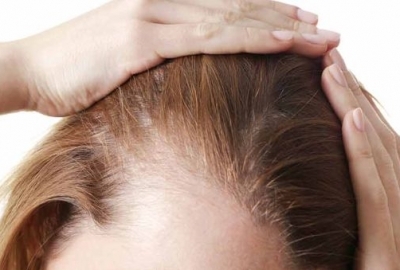 It is also great for sensitive skin since it is 97 percent natural and paraben free. The scent also is light and fades quickly, so maybe your male friends would prefer to use this one as well. Not to mention if you are sensitive to smells, then this one would be best to keep around. Ahava Time To Smooth Age Perfecting Hand Cream with SPF15 is not only great at moisturizing your hands, but it includes SPF that will keep your hands looking younger, and also a VF brightening accelerator complex, which will fade away uneven skin tone and work at keeping them toned the longer you wear it. It also has a 3D anti-aging complex, which plumps up your skin to fade away any rough looking patches or noticeable wrinkles. It is never too early to start taking care of your hands to prevent early signs of aging.